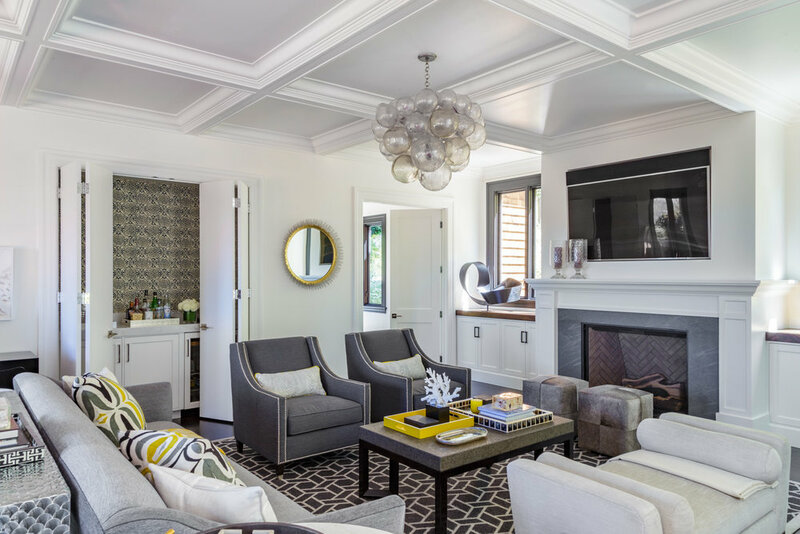 “We just finished a multi-year, full house remodel and decorating project with Annie Lowengart and we couldn’t be more pleased. Our home is not only gorgeous, but also completely reflects our style and taste in the most elevated way. Although the physical result of our collaboration with Annie is wonderful, the time we had on our 2 1/2 your journey with her was equally fantastic. We came to Annie with nothing more than a few ideas around how we could take our newly acquired, yet dated home and make it our own. Through her wonderful contacts and relationships Annie brought us an architect who was the perfect fit both in style and capacity. She introduced us to a contractor who surpassed our expectations both in terms of customer service and quality. And she connected us with a wide array of unparalleled resources to fulfill our specific vision. Annie’s network and resources were invaluable! The collaboration between Annie and my wife resulted in not only an absolutely spectacular interior, but also a really special and fun journey for us both. We relied on Annie’s guidance for every level of detail and she did not disappoint! Her taste and style are superb, and she went out of her way to make sure the end-product was the right amalgamation of our collective vision. In addition to blessing us with her design prowess, Annie conducted business with high integrity, follow-through, accounting accuracy and transparency. Annie also exhibited nothing short of a constant can-do and adaptable attitude throughout the project that helped us through every stage. "Annie was an amazing collaborator on our project! She helped us with tricky questions at the very beginning, like scope and finding the right contractor and architect, through to realizing our complete vision for our home. Her contacts and stellar reputation with high quality vendors is superb. This was a multi year effort that took both long term stamina, bouts of sprinting, and an unyielding focus on the end result without compromise. Annie did a phenomenal job, and was incredibly fun to work with in the process. I now count her as a trusted friend! Annie really did her homework with us to extract our ideas, make our vision come to life, and we couldn’t be more pleased with the result. She went the extra mile - she studied every topic that came up, was fully available to talk through every question and detail, even late at night and early in the morning. She was tireless - even sending us inspiration images from her vacation in Mexico and shopping ideas when she was on a personal outing in LA. Annie’s versatile sensibility and endless creativity shone through, as we wanted to mix some of her well known, colorful pops and California energy with an aesthetic that was grounded in tradition and harkened back to my childhood on the east coast. We were so lucky to find Annie to help us create a home that is special to us and highly personalized to our family. This was no cookie cutter project and Annie did an absolutely outstanding job." "If you're reading this review you already know that Ann Lowengart's work speaks for itself! We chose to work with Annie because of her comfort with color, bold choices and love of art, but her warm and lovely personality is an added bonus. We love how spectacularly sophisticated, fun and functional our multi-purpose spaces are and finally feel we have something that suits where we are in our lives. There's nothing like hiring a pro to think through everything from fabric to space planning to visual joy! Thanks ALI!" "Annie was an integral part of a team that just completed a very extensive (down to the studs) ground floor remodel for our family home. She was incredibly helpful in every stage of the project. At the front end she helped us and our architect re-imagine the floorplan to open up the space and improve the flow. Her taste and style on the design finishes were impeccable. Most importantly, she really listened to what we had to say, pushed us when that made sense, and didn't when it didn't...if that makes sense. I would highly highly recommend Annie!!" "My husband and I hired Annie for a complete remodel and furnishing of the first floor of our home. We could not be happier with the process and outcome. I'll never forget the first time Annie visited our home in the early stages of planning. She toured the home, listened carefully to our goals and initial ideas, and then blew us away with a vision for the project that we had never imagined possible. By moving the location of a powder room, Annie helped us add tons of natural light and dramatically improved the flow of the first floor, transforming a previously unused living room into a favorite gathering place for our family. Annie also elevated the indoor/outdoor flow of the home by adding bifold doors to the patio. and she encouraged us to add a beautiful but functional mudroom that now keeps our daughters' clutter conveniently out of sight (priceless!). 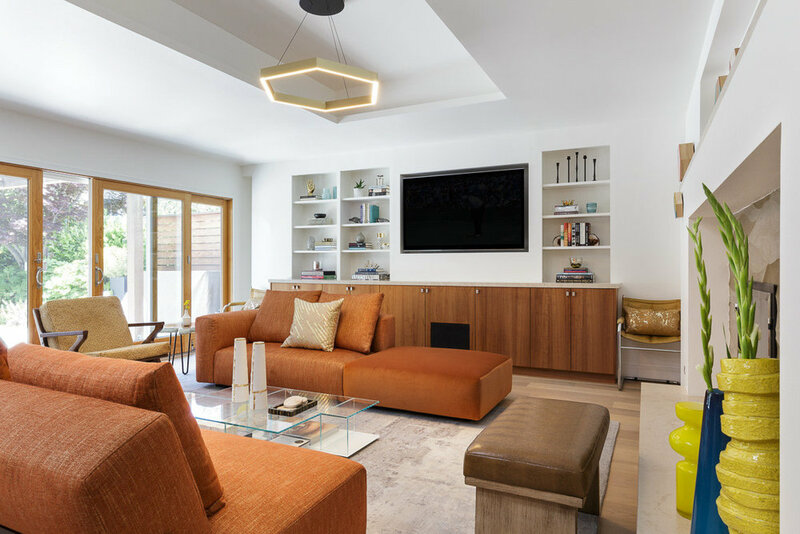 In addition to the ideas she brought to the construction process, Annie developed a clear understanding of our design style and recommended furnishings that are exquisite but also honor the realities of our lifestyle with young children. As a mom herself, Annie understands the needs of families and selected pieces and fabrics that will stand up to the inevitable spills, footprints, and unexpected surprises of childhood. Annie's stated goal was for ALL members of our family to love, enjoy, and take pride in our new home -- and we do! Our daughter exclaimed "I never realized we could have a house like this!" when she first saw our new furnishings and I, too, still pinch myself when I look around our beautiful home. Perhaps the most impressive aspect of working with Annie is her ability to provide big ideas and creativity while also sticking to a clear timeline and budget. The entire ALI team is extremely organized, communicates seamlessly, and takes a process-driven approach to projects. If that's not enough, they're also some of the nicest people you'll ever meet. Thank you, Annie, for your vision, creativity, energy, optimism, and personal touch. I am so grateful for your guidance and friendship throughout this journey!" "Annie Lowengart offers the rare combination of amazing taste, business sense and organization. She designed an incredible home for us that met my wife's design expectations while offering transparency into cost and budget that kept me happy. She is honest, hard working, reachable and strives to provide top notch service. Annie has an opinion and we wanted to hear it. She also has a full stable of providers who do excellent work and love working with her (ex. counter top provider, tile provider, carpet provider and wallpaper provider). The end product is fantastic and we stayed within our budget. Annie designed our first home in 2002 and what we hope is our last home in 2016." "I had a very positive experience working with Ann Lowengart this past year. Her upbeat, positive attitude made me feel like anything was possible and gave me the confidence to try something new. Some of those bold decisions happen to be what I love most about my home. For example, the fun, bright wallpaper in my entry way makes me happy every time I walk in the front door. Ann made excellent suggestions for wallpaper, window treatments, and tile, and the people she uses for installation were professional and experienced at their craft. As an expert interior designer, Ann has extensive knowledge and knew how to find a specific piece of furniture or a fabric. She was always easy to reach and was incredibly responsive and available. In addition, Ann had a keen understanding of the style I was after and was instrumental in making my dream house become a reality." 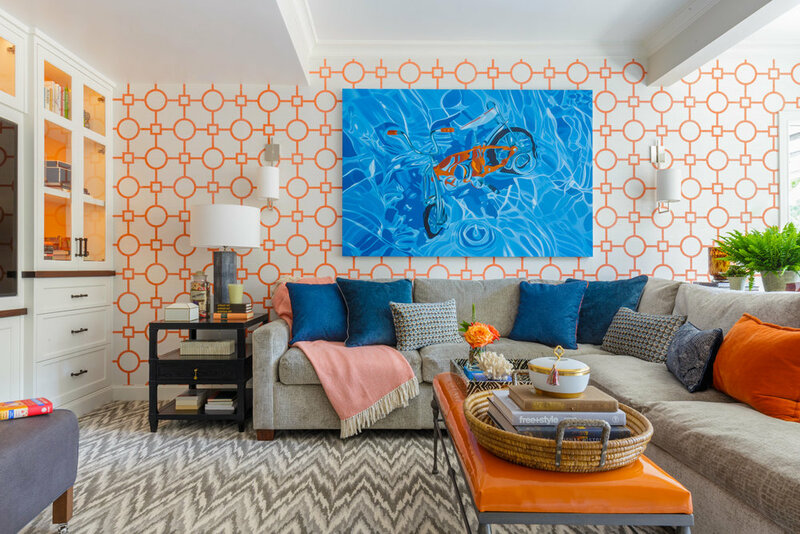 "My husband and I hired Annie to fully furnish, top to bottom, our entire home. We couldn't be more thrilled! She and her amazing team provided concierge level service. We moved with three children to our new home in the middle of the school year. Since we were keeping our previous residence we needed everything from the kitchen being stocked with new dishes, cookware, appliances, to towels in all bathrooms. They thought of everything! The scope of this project was huge! The finished product was amazing! I feel like I am on vacation in a gorgeous retreat everyday-- and it's my home! Thank you Annie!" "I recently hired Annie and team to help remodel and decorate my first home. Their classy, personal approach combined with technology-savvy, process-driven method was an excellent match for us balancing two full-time tech careers. From the very beginning, Annie has been an active listener, absorbing all of the details and nuances of our personal and project needs. We were thrilled with her creativity and superb taste; it truly made the selecting pieces a breeze, particularly with the close adherence to our budget. ALI has executed flawlessly and exceeded their mantra of "surprise and delight." As the project comes to a close, we'll miss the regular interaction with ALI as they've become part of our extended family through the process." "I recently worked with Annie on a large second home with a specific decorating budget. We found that Annie has amazing taste and style with invaluable knowledge of every aspect of the design and remodeling business. She is a very good listener with a keen ability to take all of the clients' thoughts and ideas into consideration then synthesize them into a cohesive design vision executed with ease and within budget. Her ability to combine expensive antiques with custom fabrics, Serena & Lily furniture, and West Elm accessories and having them all look absolutely chic together is a true talent! Working with Annie felt like working with my best friend ─ she is easy and fun to work with, respectful, trustworthy, fair, and gives her honest opinion. In the end, Annie delivered an outcome above and beyond our expectations. We continue to receive compliments from all those who visit our home and we do and would highly recommend Ann Lowengart Interiors to anyone!" "I highly recommend Ann Lowengart Interiors. We hired Annie to gut and remodel our master suite, reorganizing the space to create larger closets, a work space for my husband, built-ins, and a larger master bath. She did an amazing job that exceeded our expectations. Annie was able to understand my vision for our project and deliver beautiful results on time and on budget. She is a joy to work with and made the renovation process fun - I looked forward to our days together and was constantly amazed by her style, creativity, and resourcefulness. I also appreciated that Annie knew what to "save" from our old house. We had very old, tired door knobs throughout our house. Instead of recommending we replace all of them, she suggested we restore them because of their unique character. These door knobs were transformed and are beautiful and unique - restoring them also cost significantly less than new hardware." 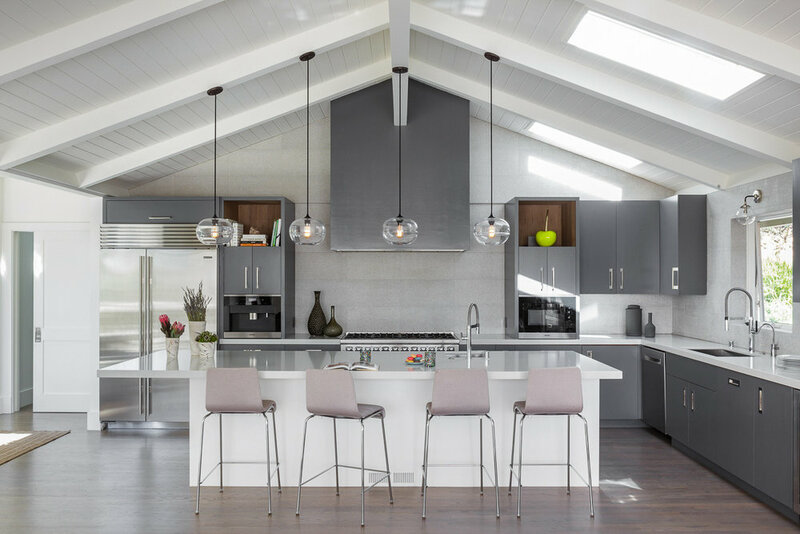 "Annie worked with us over the course of 18 months on an extensive remodel of our home. Her ideas and suggestions every step of the way shaped the entire project and turned our old house into our dream home with every room worthy of oohs and aahs. From construction details in framing to objets d'art for our finished shelves, her input as well as her attentive and collaborative style made working on our project a pleasure." "I cannot recommend Ann Lowengart highly enough! Ann and her team are exceptionally talented with a gift for making fabulous spaces happen-gorgeous and with in budget! Ann was able to translate what I had envisioned for the space and make it a reality. She works seamlessly with the architect, contractor and many others involved to make it a smooth and enjoyable process. It is a joy to work with her!" "Annie is truly amazing to work with and has absolutely fabulous taste. She is easy to work with and provides incredible knowledge in encouraging great changes in your house! She is creative within an organized and well-defined process. Annie and her team make the process very enjoyable. Annie is also extremey trustworthy. She only wants the best for your house, family and lifestyle. She also understood and worked within our budget and timeline. We are so happy with all the work that Annie has done in our house." "Annie helped us transform our house during our recent remodel. She took our vision and worked with us to hone our style. Annie worked closely with our architect and builder to ensure every design detail was considered. We learned a lot in the process. We are thrilled with the results and really love our home! We would absolutely work with Annie and her team again." "We have worked with several of the top designers in the San Francisco area, and Ann is by far the best! We engaged her to do a complete remodel of our 5,200 s.f. house and guest house in Marin, which included 2 kitchens and 6 bathrooms. We are notoriously slow at making decisions, and we knew that eventually we might want to put the house up for sale. We wanted something that would reflect her amazing taste and creativity, but also have universal appeal. So, we decided to put ourselves entirely in her hands. Best choice that we ever made! Ann is truly a wonderful person. She is just a joy to be around, and so fun to work with! She has such an incredible depth of experience to draw upon, which makes her very quick and efficient. She has a great team working with her, and lots of resources at her disposal. Ann managed the entire process so well, that we came in right on budget. We were absolutely in love with how everything came out. In the end, we did end up listing the house after all. The market reception was amazing. The result of all that much better than we ever could have hoped for! We are so looking forward to working with her again soon." 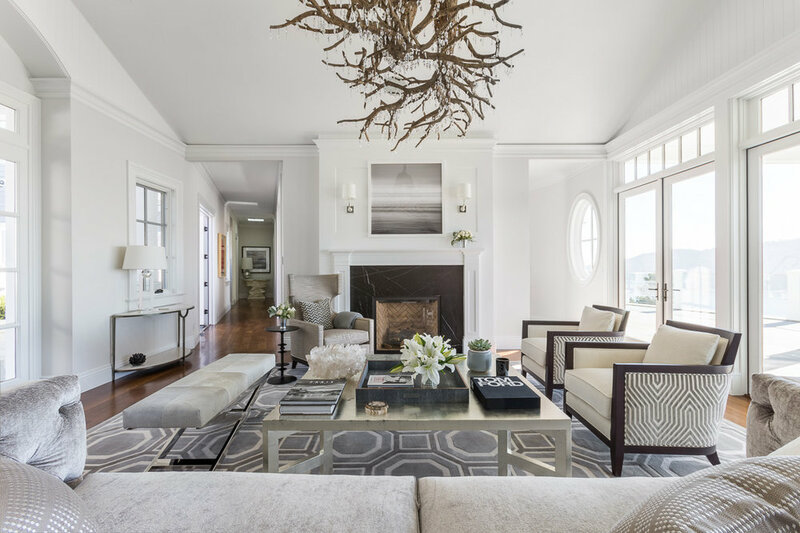 "Annie Lowengart completely transformed our home including our entry, living room, dining area, sitting room, master bedroom and bathroom. Not only is Annie's work drop dead fabulous but functional, on budget and delivered on time. We started out with a black slate and over the course of our collaboration Annie listened carefully and brought forth a beautiful design for every space. The look not only reflects our style but does so in a way that makes me constantly think “I would have never thought of that”. Annie is a pleasure to work with, is accessible, approachable and although she takes her work seriously, does not take herself too seriously. She made the project fun. Our time working with Annie exceeded expectations and we very much look forward to engaging her again in another project down the line."